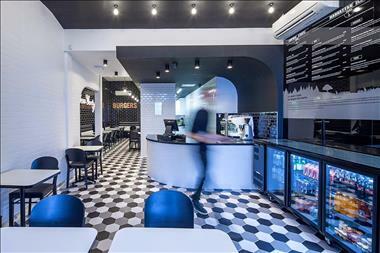 Fast Food Burger Franchise for Sale - Own your own Food business today! 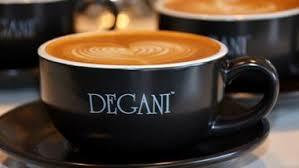 We are seeking business partners with the go-get'em New York attitude to join our franchisee family. Teaming fresh local produce with traditional burger recipes is what we do. Fresh Food & Takeaway! Our marketing experts are drilled in every aspect of our business and have been involved in creating the New York Minute Brand from day one. Every new franchisee benefits from a tailored local marketing strategy that ensures your business is thriving from day one. Ongoingly, our marketing team provides bespoke yearly local marketing strategies for every store, collateral support for all instore and local marketing campaigns, and state-wide marketing, PR, and media campaigns. Our Marketing Director is also available to all franchisees. they love working with food, fresh produce, creating unique American inspired burgers, and ensuring that every one of our customers has a fabulous in-store restaurant & takeaway food experience. Previous experience in the QSR retail industry, food, cafe, restaurant management, managing a team, or running a business will be advantageous. At New York Minute we believe in our people, and our people are our family. When you join New York Minute, you join our family. As it says in the song New York, New York, we want you to be king of the hill AND top of the heap! We have worked very hard to develop bespoke, gourmet burger products, stable and ethical supply chains and a loyal customer base. We have proven that authentic New York burgers combined with locally sourced, fresh ingredients are a winning combination. Fresh food & Takeaway! That's why our headoffice staff will be with you every step of the way to provide food training, marketing support, design & layout, and staffing as you establish your very own New York Minute. 2. All of our chicken, beef, and pork is sourced from ethical producers who do not use antibiotics or GMO's. 3. All of our food produce is fresh, never frozen. 4. All of our gourmet burgers are handmade, fresh, and crafted to exacting, traditional New York recipes. Owning your own New York Minute franchise food/takeaway/restaurant/store is more than just a business opportunity - it's a way of life. 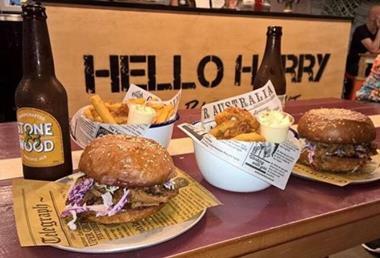 Our story began in 2010 when CEO and Founder Antony Crowther decided to apply his 20 years of QSR experience to creating a traditional American burger range that customers were craving, but no one in Australia was providing. 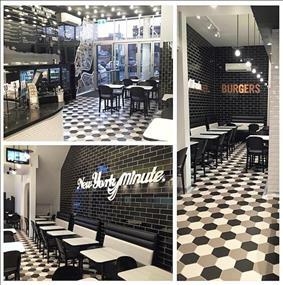 Our first store, Moonee Ponds was immediately overflowing with customers keen to get their hands on now iconic New York Minute burgers like the New York, New Jersey and Philly Cheese Steak. 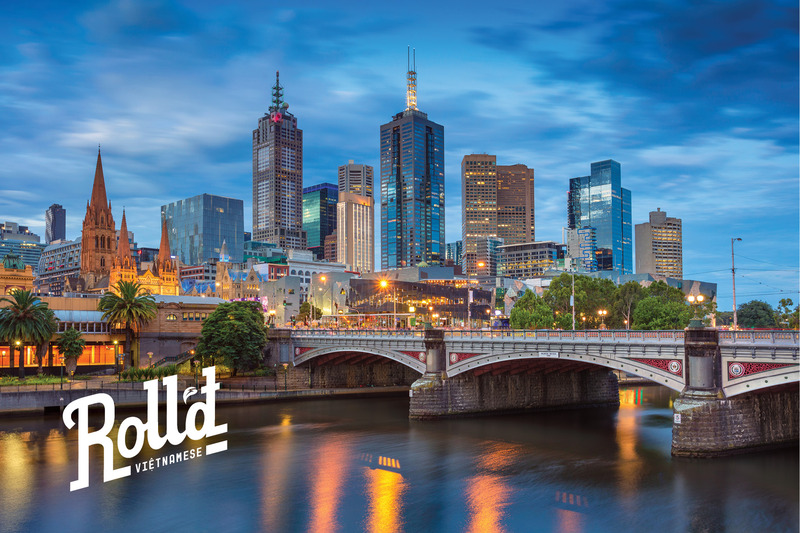 New York Minute now has restaurants fast food stores across Melbourne, with ambitious plans to expand both in Victoria and interstate. 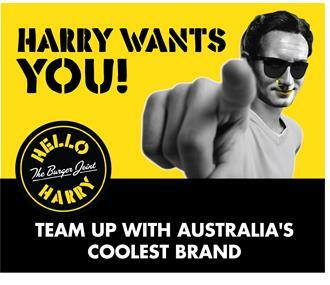 Hello Harry Is Looking for new Burger Joint Franchises!! Be the Boss! !